Genki Sudo was a Japanese mixed martial artist and a kickboxer in Tokyo, Japan. After his retirement in December 2006 he proceeded his career to the music industry. 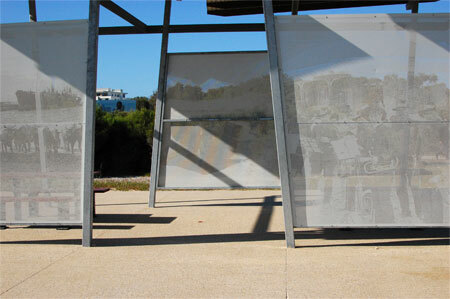 Below are some of his works – the song, the music, and the calligraphy are created by him. There’s some weird movement and dancing, but I think they are really cool! This dish is one of the Japanese new year food, but it is so easy to make and can be eaten as side dish and a bento item as well. 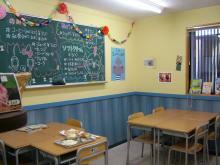 A great hashiyasume (“chopstick rester”). With very simple ingredients, you can make this marinade in less than 5 minutes. 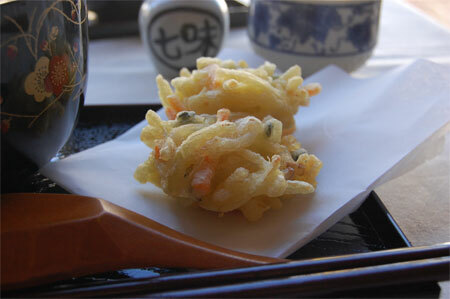 Namasu can be made with any ingredients – uncooked (“nama”) vegetables and/or seafood. 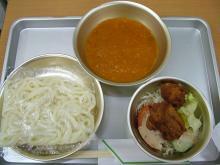 I also like cucumber namasu, but this daikon and carrot namasu is the very standard namasu eaten in Japan. Slice carrot and daikon very thinly. You can use the slicer if you have. 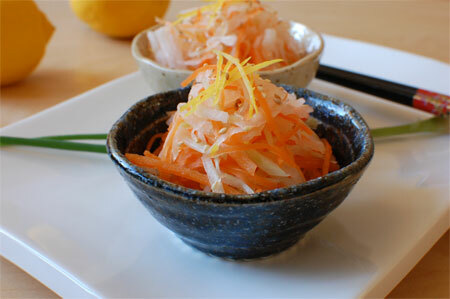 Place daikon, carrot and lemon rinds in a bowl, and sprinkle with salt. Let it stand for 5 minutes. 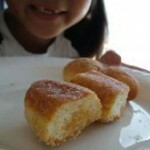 Mix vinegar and sugar in another bowl. 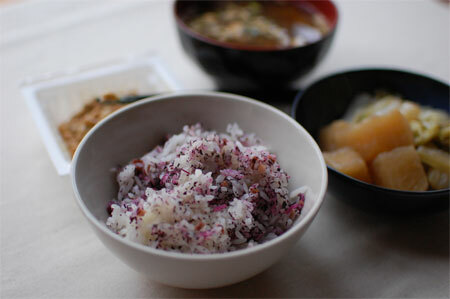 Squeeze out the liquid from daikon mixture, and marinate in the vinegar mixture. Sprinkle sesame seeds. * You can eat them straight away, but it tastes better if you marinate little longer in the fridge. « How I spent my Long Weekend..
How I spent my Long Weekend.. I didn’t do much in this weekend, but I could totally relax. 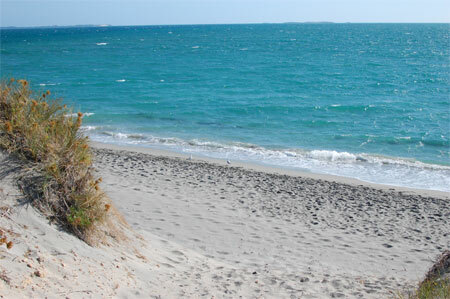 On the second day the cousin and her son couldn’t visit our house again, so we headed to South Fremantle to walk around the beach. 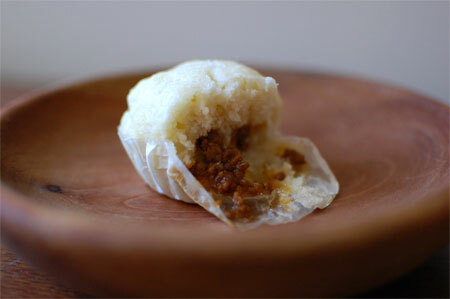 At home I made some steamed buns with pork soboro. The dough is very chewy. 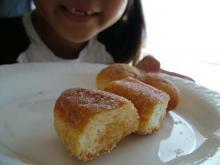 It’s called “mushi-pan” in Japanese, and it normally contains sweet fillings such as sweet beans and sweet potatoes. 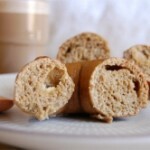 I love the chewy texture on mushi-pan (I used to buy them from convenience stores a lot). 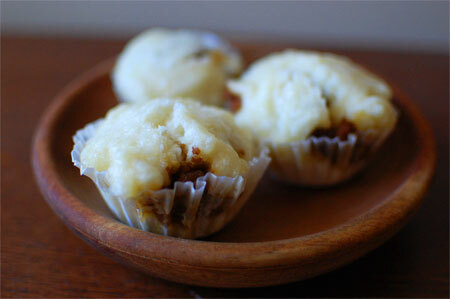 I had some pork, so I thought I could make savoury mushi-pan rather than the sweet ones. Thanks to the weather, our tomatoes are booming in the garden! 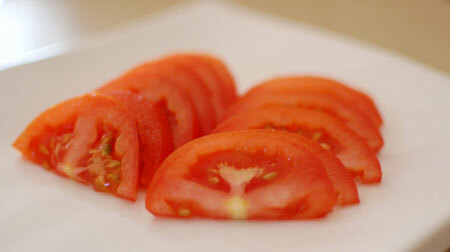 Chilled tomatoes taste so great. 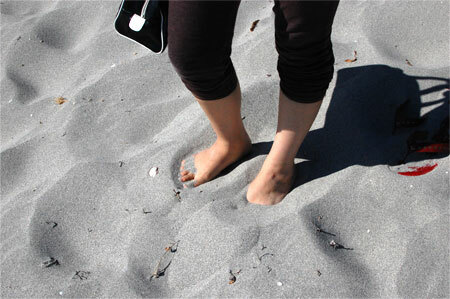 It cools down the hot body in summer. Chilled tomato (hiyashi-tomato) is a typical Izakaya menu in Japan, it’s just sliced chilled tomato served with salt, but it’s just a great hashi-yasume ( “chopstick resters”). 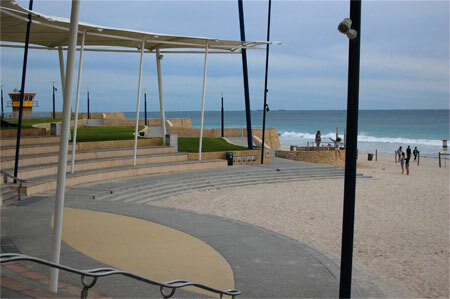 It is a beautiful long weekend for Perth people! The weather is perfect. Is it summer already? 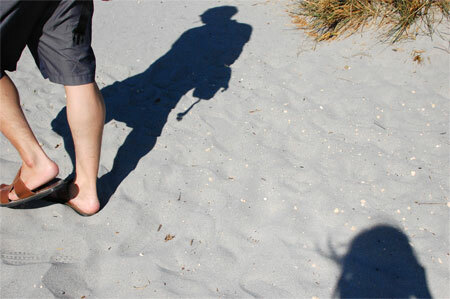 So warm and sunny. I did lots of washing yesterday. 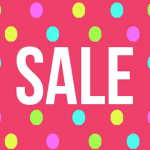 It’s time to put back our thick coats and jackets in the closet and pull out the summer clothes. When I stepped outside, I realised the weed grew so fast in the last couple of days. 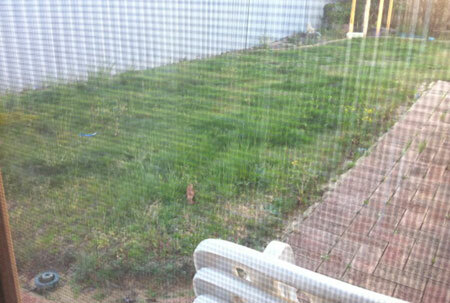 Our yard looks so … bushy. I started weeding, but I couldn’t keep it up under this sun. I almost got sunstroke. There’re still some worms around my house so I didn’t want to go too deep into the garden. 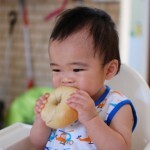 Yesterday my husband’s cousin and her son from Hong Kong were supposed to come to our house, so I was tidying up the house whole morning. I made cherry and walnut cake too, just in case they want to eat some snack. But, she texted us that her son didn’t feel good and they went to hospital instead of visiting us. I was kind of tired from the weeding and cleaning, so I laid down on the sofa until 2 pm, watching Sho-gun on tv. It’s a long movie… We decided to go outside a bit for shopping. There were so many people gathering around the tv section at Myer watching the football final. Even the shop staff. 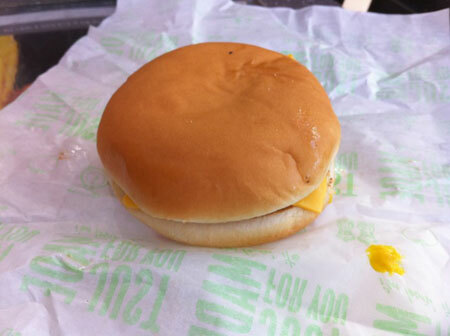 His pitstop at Macdonald’s $2.00 burger. 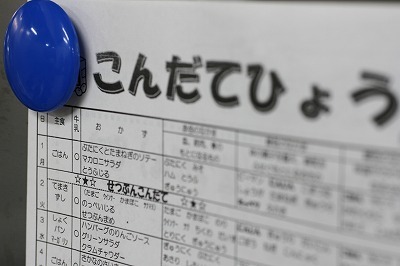 If I write down the menu I can see the nutrition balance at glance, and can save some time thinking in front of the fridge what to cook tonight. When I know what to cook I can start cooking straight away after coming home. I had oden last night. I started cooking the oden the other night and have been simmering in the slow cooker so that all the ingredients soak up the soup. 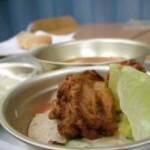 Dishes like this is a great way to clean up the left overs in the fridge. Tonight, to clean up the cabbage I am making okonomiyaki! It was two days ago that happened. Suddenly I couldn’t send emails to my mum from my email account. I could receive her emails saying “are you ok!?!?! ?” “I have lost contact with you” “I’m going to Docomo now to get my mobile checked” etc, but the emails I sent all returned to me as “undelivered”! I sent an email from my gmail, and it was ok. It must have had some kind or error between my Yahoo email account and her Docomo account? We never know..
By the way I was alone last night. My husband left home for a business meeting after picking me up from the work. I knew he was going to come home late (he did come home late, around 1am), so I was going to enjoy my time alone. I normally like spending time alone. It’s the time I can totally relax and don’t need to worry about others. I was going to relax, probably take shower then do some facial massage and wear facial mask, and look for a new hair style on the internet. But, I thought I could do some food preparation for the dinner tomorrow, and started cooking. 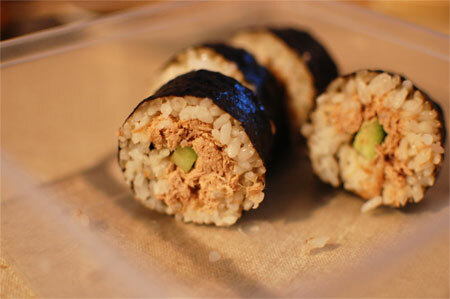 I wasn’t actually hungry last night, but when I was mixing the tuna with Japanese mayonnaise and a dash of soy sauce, the smell made me wants to eat tuna. I decided to eat tuna salad. I added mayonnaise to my salad – I didn’t eat mayonnaise often before, but now I’m concerned about my vitamin-D level and trying to eat fatty food a little. 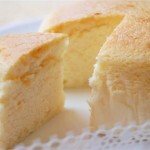 Then, I made some Japanese style steamed cake in the oven. 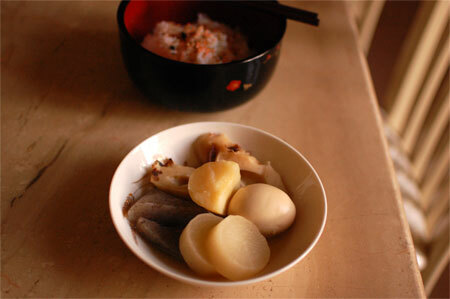 And, cooked oden. It was my time alone. I don’t think I could relax, but I could do some stuff that I can’t do while he is here (he doesn’t like me standing in the kitchen for too long at night) so I guess it was ok. 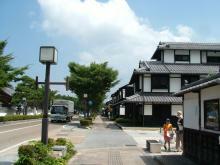 This city is Hikone, just next to my city in Shiga. 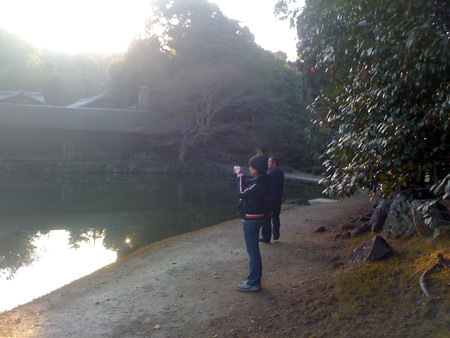 There are many historical buildings remain across Japan and you will find many temples and other buildings everywhere. 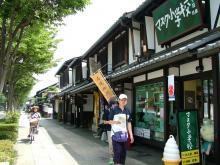 Hikone is one of the city which tries to remain the historical parts. There is a road called “castle road” near the Hikone Castle, and all the buildings, including police station, and lights around the road are designed “old-looking”. White wall and black roof. Very famous tourist attraction place. 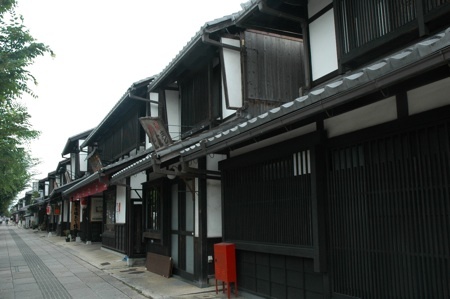 There are many shops including restaurants (where you can enjoy Ohmi wagu beef and other Shiga food), souvenir shops, cafes, and art shops on the Castle Road. 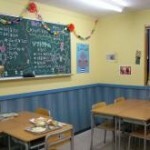 I heard that there is a new shop opened just recently – called “Mask Elementary School”. 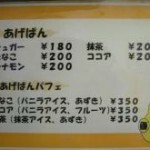 What interests me is that the second floor of this shop is a cafe where they serve kyushoku-like food. 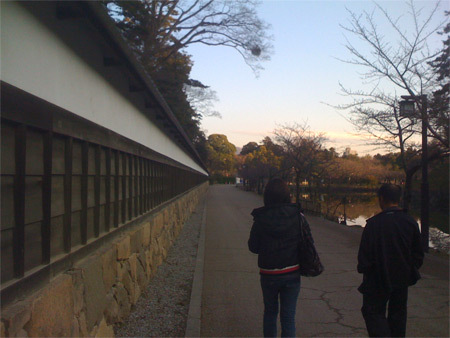 (I wrote about kyushoku here) I love this type of places (>v<)! 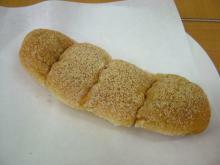 The bread (above photo) is age-kinako-pan. 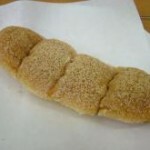 It’s a deep-fried bun, coated with kinako (sweet soy powder). 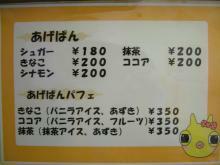 I know how high calorie it is, but It was my favorite kyushoku item. 🙂 They seem to have different coatings (including maccha and cocoa), and there are menu for age-kinako-pan parfait for 350 yen. I will definitely try this place out on my next homecoming! I’ve been not to try to make any plan ahead for the weekends lately – just do whatever I feel like on the day, and I think it’s the best way to spend a relaxing weekend. On Saturday we started the car engine around noon. I bought a set of new quilt, pillows and sheet from Target the other day but I forgot to buy the quilt cover, so we headed to IKEA to buy a cover for the quilt. When we arrived at IKEA we noticed that they’re doing something near the entrance escalator. 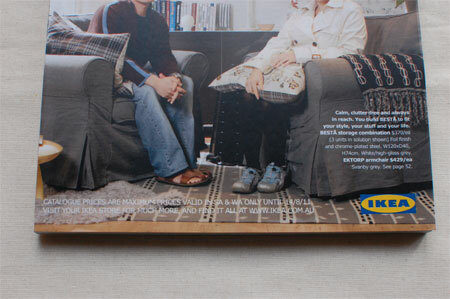 $2.00 donation and you can get a copy of IKEA catalog with your photo! My husband had a hotdog at IKEA, but we went to Jimmy Deans Diner in Scarborough to have burgers again. 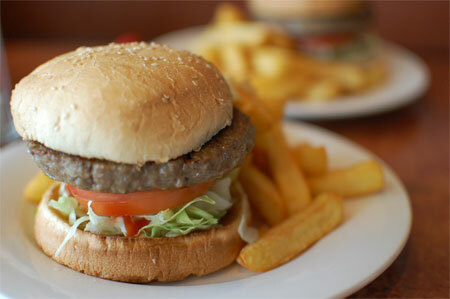 A tall burger stacked with 150g beef patty, lettuce, tomato, mayo and tomato sauce. 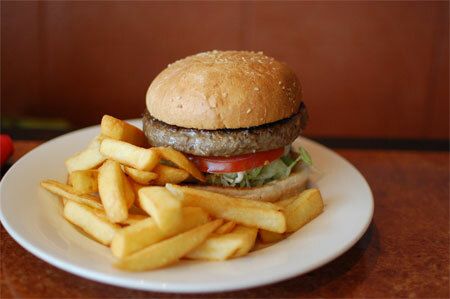 I like mustard, so I added heaps to my burger and ate it all up. … I didn’t have dinner on the day. The big burger stayed in my tummy until Sunday morning. I love yukari rice. 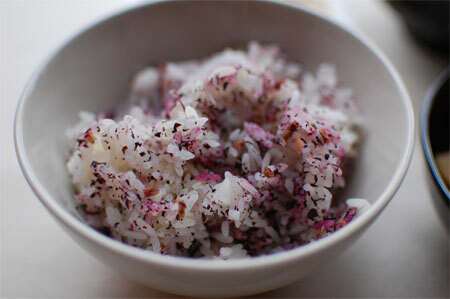 Yukari is a condiment to accompany hot plain steamed rice, made from salt pickled purple shiso leaves. You can buy a packet of this from Asian Grocery shops (at the Japanese food section). 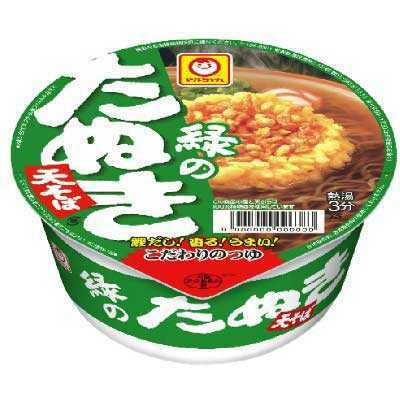 It tastes… different from other furikake. It’s kind of sour and salty. I can just eat this rice everyday! A combination of yukari rice and wakame (seaweed) soup was my everyday lunch at a yakiniku restaurant I used to work when I was a teenager in Japan. 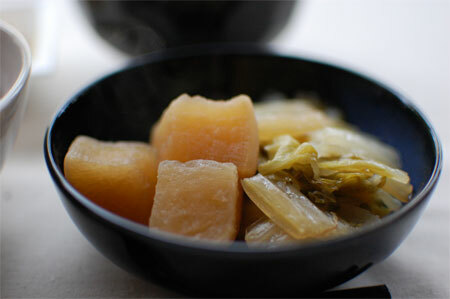 Nimono – simmered vegetables dish – with daikon and Chinese cabbage. 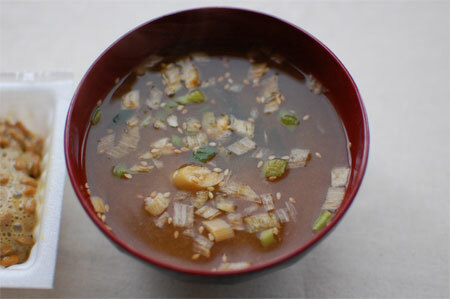 Simmering in a soysauce-based soup. 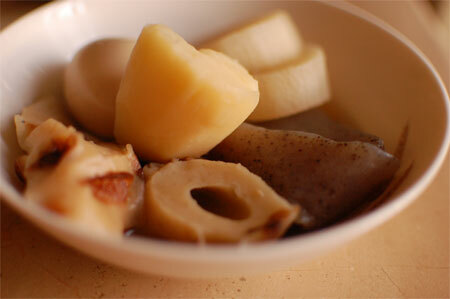 The juice from daikon and Chinese cabbage makes the delicious broth. 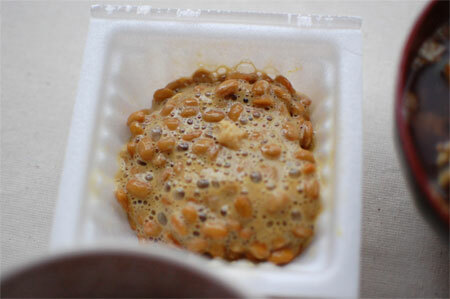 Natto – Japanese fermented soybeans – is a typical dish for Japanese breakfast. 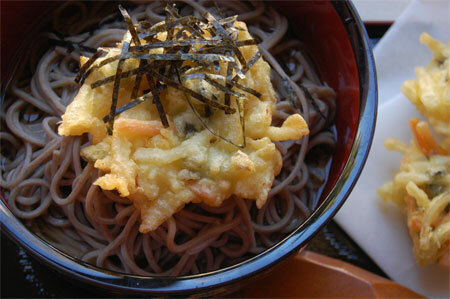 Eating it with a drop of minced ginger is my favorite these days. 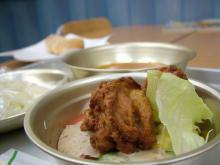 This is one of my favorite meal. 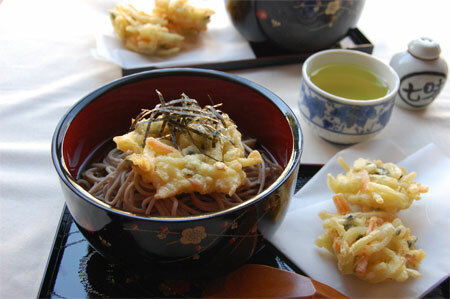 … To think about it, Japanese food is quite similar to a vegetarian diet. 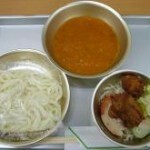 None of them contain animal meat, and above is a common meal combination in Japan. 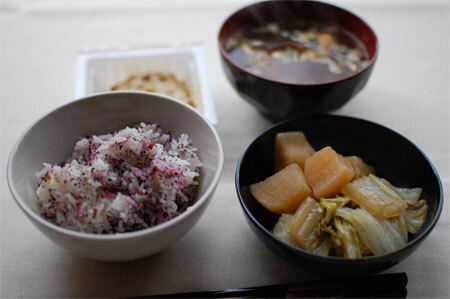 If you chose konbu-dashi (seaweed stock) for the miso soup and nimono, the above meal becomes vegan.